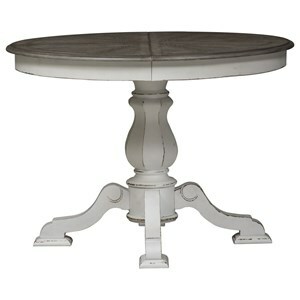 Subtle elegance and versatility make this pedestal table an ideal centerpiece for your dining room. 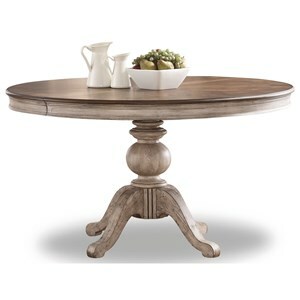 Whether you are using it day to day for your meals, or need extra space for guests over the holidays, this table has the look and functionality you need to complete the refined look of your home. 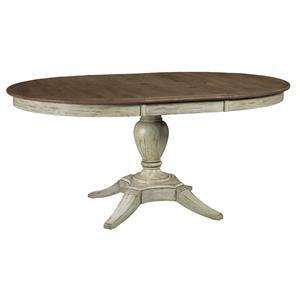 The Yukon Transitional Table with 18" Leaf by Winners Only at Godby Home Furnishings in the Noblesville, Carmel, Avon, Indianapolis, Indiana area. Product availability may vary. Contact us for the most current availability on this product. 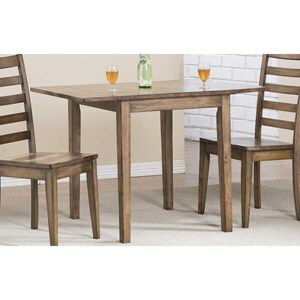 Create a refined dining space for every occasion with a piece from this transitionally styled collection. 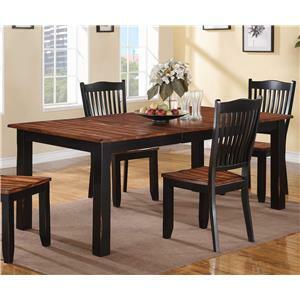 The Yukon collection is a great option if you are looking for Transitional furniture in the Noblesville, Carmel, Avon, Indianapolis, Indiana area. Browse other items in the Yukon collection from Godby Home Furnishings in the Noblesville, Carmel, Avon, Indianapolis, Indiana area.